John Constantine. . HD Wallpaper and background images in the Constantine (NBC) club tagged: photo john constantine matt ryan constantine master of the dark arts exorcism hellblazer dc comics season 1. 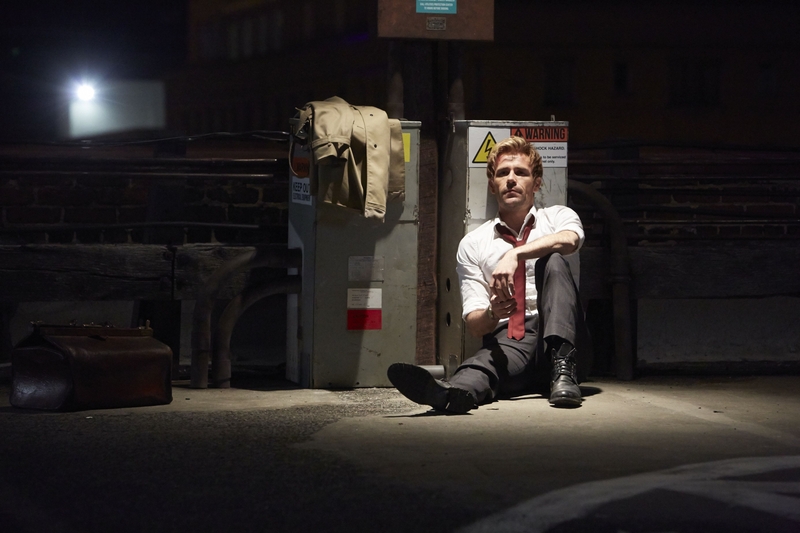 This Constantine (NBC) photo contains 街道, 城市风貌, 城市环境, 城市场景, 城市设置, 商务套装, 西装, 讲台, 阅览桌, and 看书. There might also be 客厅, 起居室, 前室, 前厅, 客厅里, 前面的房间, 客厅客厅, 狗窝, 狗屋, 狗窝里, 狗房子, 精心打扮的人, 西装, 裤套装, 裤装, 穿着好衣服的人, 裤子套装, 穿得好的人, and 套装.